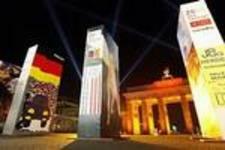 Seeds of Change - Heiner Benking's Blog - quergeist.info: Wall or no Wall ! - Renaissance and New Renaissance !! Wall or no Wall ! - Renaissance and New Renaissance !! just comming back from Brandeburg Gate ! Busy times... we had last week the NEW RENAISSANCE 3 - and helping to organize it was hard to keep track and in balance. 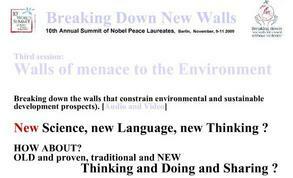 30 October – 1 November 2009 Humboldt University Berlin, Germany. Here is the presentation which I will need to seperate in some shorter video-courses maybe on youtube or teacherstube. see also the slides on NEW SCIENCE, NEW LANGUAGE, NEW MODELS, NEW THINKING .... all nicely comming together to form a "bigger picture".